Kato sensei with SKC members. 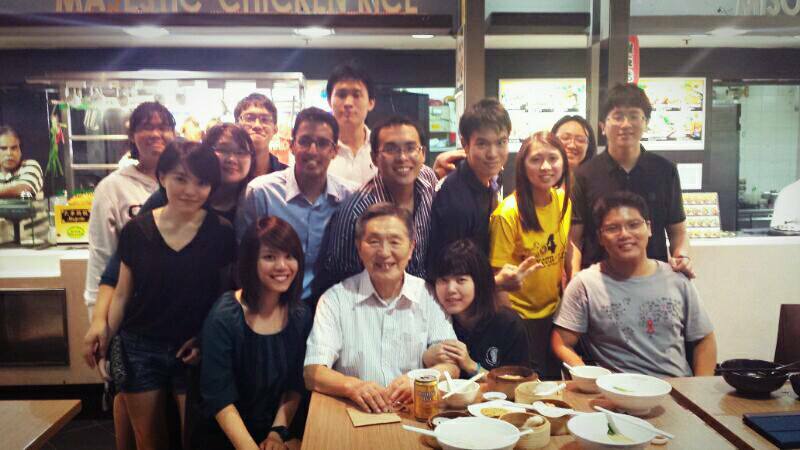 Toru Kato sensei (7-Dan Kiyoshi) visited us in Singapore early in September this year. He was previously based in Singapore for many years. 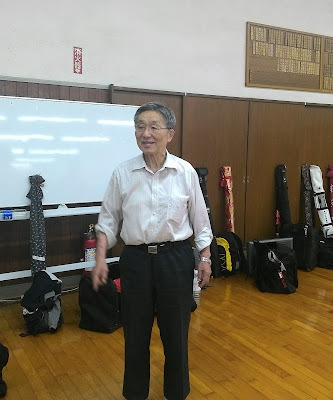 Like many of my contemporaries who were beginners in the early 2000s, we were all taught by Kato sensei - he made it to nearly every practice session in Singapore, whether it was at SKC, NUS or NYP! That Wednesday at the OCBC Arena saw many people, even those who have retired from active Kendo, come by to see him. There were just so many ways that this man had touched us and guided us in some way or other - we even remember his Christmas sermons that he would photocopy and share to everyone. 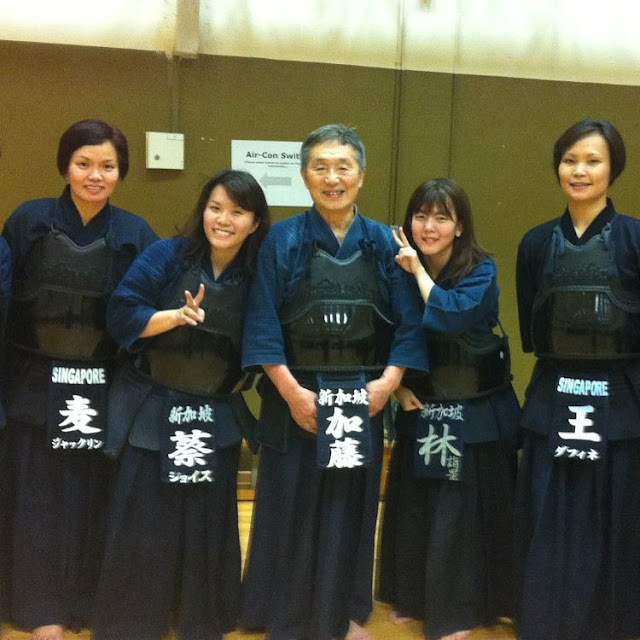 Kato sensei with members of SMU Kendo Club. A simple search online reveals an anecdote about Kato sensei by ex-alumni of SKC, Prof Khay-Lin Teoh, when speaking about his time in Singapore (click to see more). He recalls Kato sensei saying "God Bless You" as he struck his men! Re-inspired by Kato sensei again, I decided to put together a few short points on Kato sensei's Kendo teachings. I hope that this will benefit everyone's Kendo in some way. Do note these are just lessons and observations that I picked up from training with Sensei, and are not his actual words. Training just once a week would not lead to any improvement, in fact, you would actually get worse. Training twice a week would be considered maintaining whatever skill you had without much growth. Ideally, a kenshi should train three times a week or more in order to see noticeable improvement. Kato sensei would often encourage us to do suburi everyday, especially on non-training days. He used to challenge us by telling us that he did at least 100 suburi every single day. This was one of the two things that Kato sensei emphasized at the end of the Wednesday session at OCBC Arena. When pressing forward at the commencement of a Men cut, one should maintain the centre of the attack by pressing the kensen forward, as if to thrust straight through the opponent's tsuki before raising your shinai to hit the target. This allows one to create threat, which is necessary for achieving seme, and in turn, a successful strike/ippon. The antithesis of this would be to raise your shinai to perform a men without having won the centre from the onset (and get skewered by Kato sensei's shinai in the process). Kato sensei emphasized, especially during jigeiko, that a kenshi needed to keep trying for an ippon until one was achieved. If a men attack failed, one should then use momentum and destabilize your opponent before performing a hiki attack. Should that attack not succeed, one should then push forward again with another attack, until an eventual ippon is won. This attitude is especially important for kyu graders who have limited attacking options as this builds up the proper mentality one should have while doing jigeiko. Team train at Gakugei University in Tokyo this year. One thing that has always spurred me on has been Kato sensei's dedication to Kendo. If he is able to practice Kendo everyday, why not I? Why not all of us?